Coldwater Machine Company, a leading engineered solutions company that manufactures precision parts, machinery and automated solutions has added to its build-to-print capability with the addition of a Mitsui Seiki J6CNC jig bore. This machine features components made with extremely tight tolerances and rigidity, enabling it to achieve positioning accuracies of +.00004-in. (1µm). 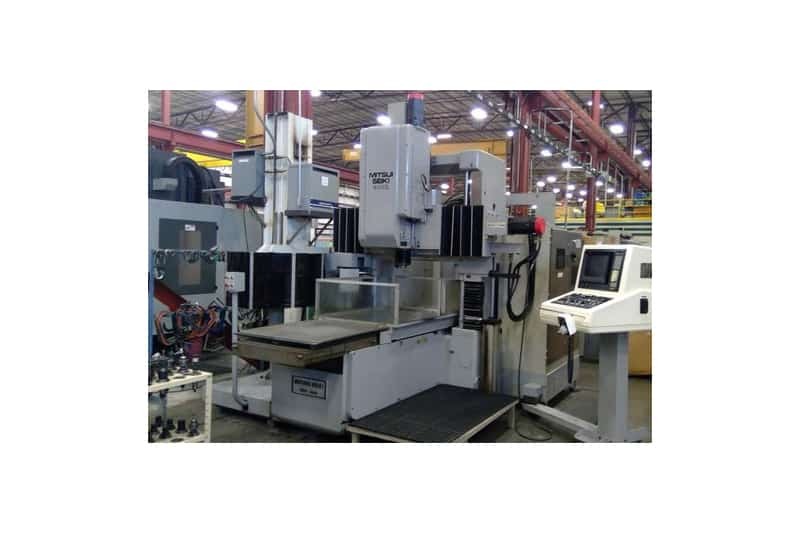 Often referred to as a “mother machine”, Coldwater is using the jig bore to make components for machine tools, as well as for the automotive, aerospace, electronics and semi-conductor industries. Coldwater recently expanded its facility to 132,500 sq. ft., helping to provide additional floor space for this machine and other machine tools. This Mitsui Seiki jig bore has a work table size of 50-in. x 30-in., and longitudinal travel (X-axis) of 40-in., transversal travel (Y axis) of 30-in., quill vertical (Q-axis) travel of 11.81-in., and cross rail vertical (Y-axis) travel of 27.5-in. With this investment, Coldwater now has nearly 50 machine tools on its floor for milling, turning, boring, drilling and grinding. The company is recognized for precision machining of workpieces with complex geometries in a wide variety of materials. Coldwater can custom machine metal components to customer print specification or engage its engineering team to assist in design. Producing prototypes, one-offs and short-run production, the company has extensive experience in precision machining of workpieces with complex geometries in a wide variety of materials. Coldwater’s material expertise includes tool steel, low carbon steel, stainless steel, aluminum, titanium, Hastelloy®, Inconel® and other exotic metal alloys as well as composite and plastic materials in sizes up to 236-in. x 98-in. Its climate-controlled state-of-the-art facility is equipped with three 60-ft x 550-ft. crane bays and heavy lifting equipment capable of moving components weighing up to 25-tons. Inspections are performed with advanced CMM and Laser Tracker equipment.